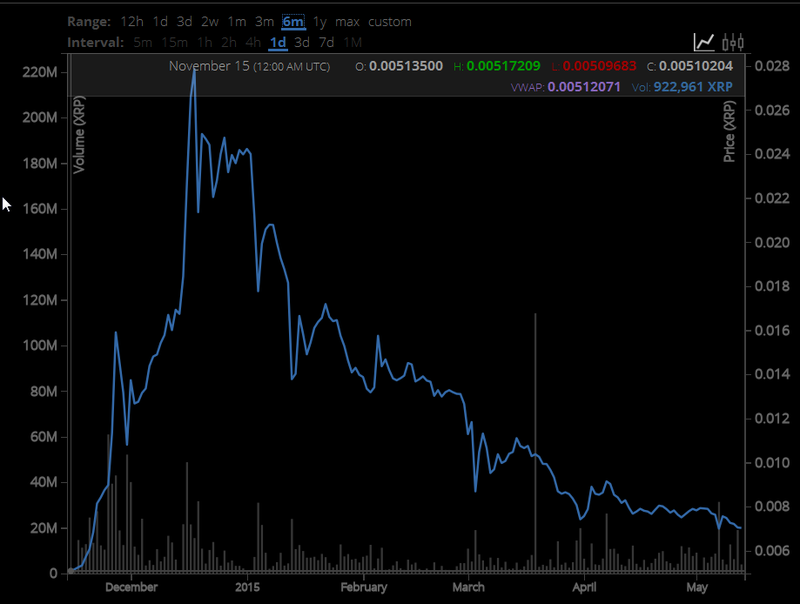 X3872 wrote: XRP looks like it's heading below .01 now for the first time since December. Is the feeding frenzy over? Are people bailing out? I hope so. I learned my lesson last time and didn't get enough before the rise. I'll be stocking up on the next dip. I'd wait until at least .008 before buying. Personally I think we'll get closer to .006. X3872 wrote: I'd wait until at least .008 before buying. Personally I think we'll get closer to .006. I sold short from 13,000 and re-bought at 28,500 (BTC market). So I've increased my holdings without any new money. I won't put anything in until we're below 1 cent again. Just playing the swings for now. 6 month chart be doesn't look very good. Is anyone still looking for a rebound?